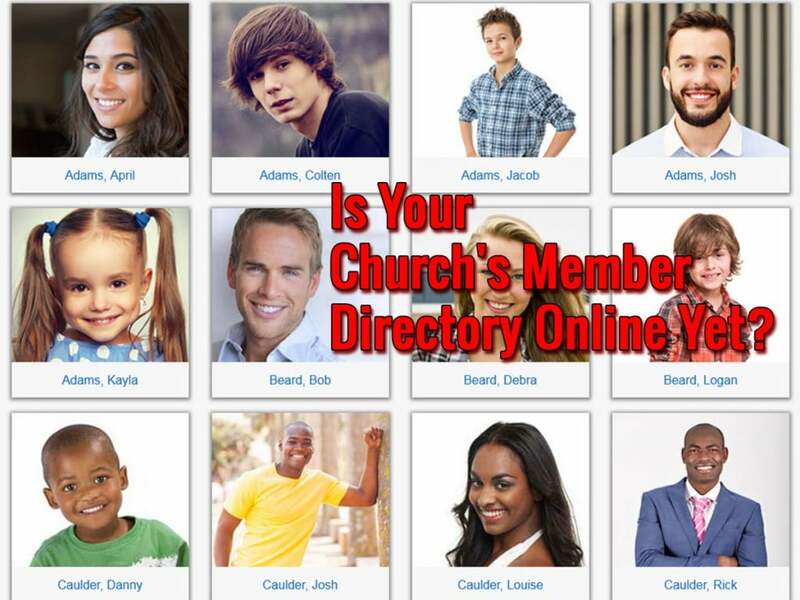 Is Your Church’s Member Directory Online Yet? For centuries, churches have maintained lists of their members, and many churches have been compiling this information into member directories for decades, at least. Today, however, the spiral-bound member directory is outdated. As the world moves from physical books to digital media, it’s time for churches to also make the shift with their member directories. If your church doesn’t yet have an online member directory, here’s why it should, along with how to select and launch one. From members’ perspectives, it makes sense to put your church’s directory online. People today primarily look for others’ contact information online. Many people still get a phone book delivered to their doorsteps, but few people actually use it to look up an address or phone number. Instead, they search for the details they need online or in the stored contacts of their phone. Creating an online directory follows this trend by making members’ contact information digitally available. People are using their phones, mobile devices and computers to look for this information, and an online directory lets them access others’ contact details through these devices. From your church’s perspective, posting contact information online shouldn’t be a huge jump. While phone numbers and addresses need to be kept secure, the idea of making them available to other members is natural. First, your church likely already has a member directory. Therefore, making members’ addresses and phone numbers available to other members isn’t new. As mentioned, many churches have been doing this for years. Second, your church already publishes a lot of important information online. Everything from upcoming events to the church’s address and phone number are probably already listed on the church’s website somewhere. Members’ addresses and phone numbers are just another type of information to include on your church’s website. Additionally, you might want to look for a member directory that goes beyond the basic name, address and phone number. Many members will want to list their email address, and a few may even want to include their social media profiles. Having a way to designate ministry leaders might also be helpful to people who have questions about ministries in your church. This feature doesn’t need to be fancy to be useful. Even if leaders just enter “ministry leader” into a custom field, people could search for the term and quickly find all the leaders in your church. However the news of the new directory is spread, three key pieces of information will need to be communicated. If any of these aren’t clearly communicated, the directory may not be widely adopted by members. First and foremost, members will want to know that their information is secure. You can alleviate any security concerns by noting that all information is password-protected and only available to members. You might also note that the information in the directory is already publicly available information, such as phone numbers and addresses. It doesn’t include any financial information. A few people may still have concerns about being included in the directory after you explain the security measures that are in place. There should be an easy way for these people to opt out to the online directory. Second, people will need to know how to access and setup their accounts on the directory. It should be easy to navigate to through your church’s website, and you might want to create a blog post or email that explains how to use the feature. Your church could even post QR codes on bulletin boards that take members directly to the directory when they snap a picture of a code. Finally, people should know what information is in the directory and how to access that information. For many people, using an online directory may be intuitive. Others, however, might need a little more guidance. If your church doesn’t already have an online member directory, perhaps now is the time to think about creating one. Your church already has a website, and adding a directory to it could be an easy way to better connect the congregation. In all, nice concept, disruption i always say is a good thing. The member directory is password protected. So only church members can access it.